Trabzonspor have signed Hull City striker Dame N'Doye after triggering his release clause with a £2.2m bid. N'Doye, 30, has agreed a three-year deal with the Turkish side. 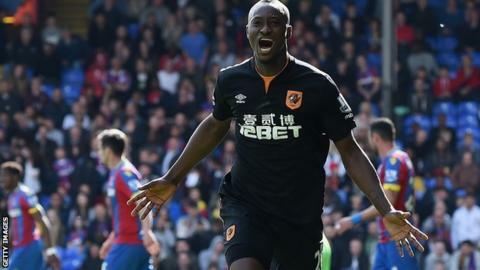 The Senegal international joined the Tigers from Lokomotiv Moscow in January and scored five goals in 17 Premier League games as Steve Bruce's side were relegated to the Championship. Hull tweeted: "Everyone wishes Dame all the best for the future and thank him for his efforts at the club."